This week PBS LearningMedia supports Asian-Pacific American Heritage Month by highlighting the artists, craftsmen and other creative thinkers whose lives have been shaped by their cultural heritage. Featured resources align with social studies and language arts curriculum and encourage students to explore their own cultural identity. Among the many resources is the work of Vietnamese born sculptor Thai Bui. 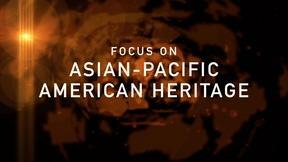 (Grades:K-13+) and a video segment from the PBS series “Faces of America,” where historian Henry Louis Gates, Jr. travels to China to meet with musician Yo-Yo Ma’s distant relatives to talk about the Ma family history (Grades: 2-12). Please visit PBS LearningMedia for much more for a range of grade levels! This entry was posted in PBS Resources, Teaching Tools and tagged language arts, social studies. Bookmark the permalink.